It is with a mix of sadness and profound pride that we announce that Mahdia, Oyé, Danielle, and Sekai will be closing MODSquad Cycles on October 31, 2014. Six years ago, barely a year after we moved to New York City, we decided to offer Uptown a bike shop worth loving, with a super service department and quality bike stock ranging from affordable commuters to higher end race bikes. We did that and had fun doing doing it. In those early days, Dan (Manager Emeritus), Justin, and Dale, Will and Sean made our service department worth frequenting and Toby, Enjoli, Chris, and Jesus delighted in impeccable customer-service up front. Many more joined us over the years. MODSquad even offered six young people their first “real” jobs. But as Robert Frost wrote, “Two paths diverged in a wood.” That has been true for our family and now that other path is calling us back to Europe and a life overseas. When we opened MODSquad our children were five and two and surprisingly needed less of us then they do now at eleven and eight. As we enter their “wonder years” we find ourselves called more and more to both witness and participate in their adolescent lives. And so, we will close this chapter to begin another. Oyé has been offered a great job focusing on Africa that involves lots of travel and lots of challenges. Danielle is excited to augment her top-notch legal, business, and non-profit skills by pursuing a certificate in Entrepreneurship; and Sekai and Mahdia are looking forward to attending school in English and French, riding bikes, and dinner together most every night. 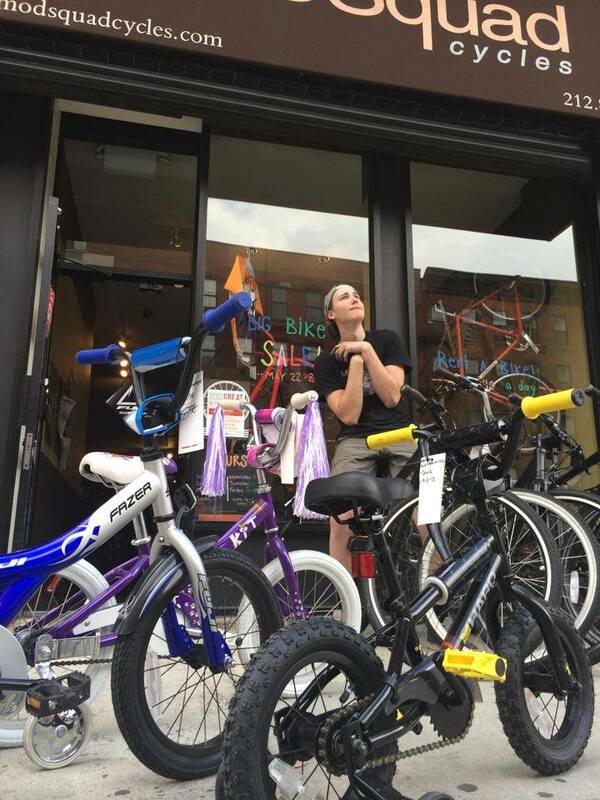 It is our hope that a bike shop will continue to serve South Harlem from our location at 2119 Frederick Douglass Boulevard. At this point we cannot say who that will be but we have high hopes that this will happen. We want to thank all of you who have been loyal and faithful customers, patient with our mistakes, and confident that our hearts were always in the right place. 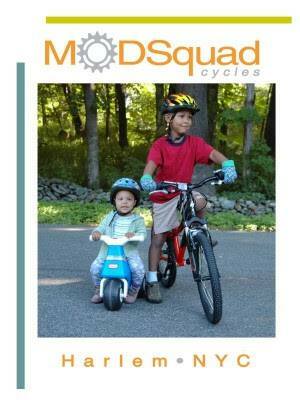 We will miss serving you and we hope that MODSquad Cycles stays with you like a good memory. Stop by to say good-bye sometime the 31st. Happy and Safe Cycling to you all. Thanks for Everything. MODSquad is going riding. Join us on Sunday September 14th for a hilly 65-mile course including the grueling climb over Bash Bish Falls, NY. Route map closely follows the route below except we will stop at Marketplace Cafe off Route 7 in Sheffield, MA for lunch. Route map. Ride starts at 1215 sharp from Wassaic Metro-North station so that we can return in time for the 425 back to NY. Anyone who can complete the ride in the 4 hours is welcome to join. Contact info[at]modsquadcycles.com for more info! Store will be closed on Saturday the 13th and Sunday the 14th to allow us to enjoy the end of summer. Our Labor Day Sale is in FULL SWING and runs through September 3. Stop in for a great deal on all new bikes and accessories! Summer may be coming to a close but the weather is perfect for riding until the first snowfall! Stay tuned for details on our upcoming LABOR DAY SALE! And, get excited! We’ve got bikes for everyone!! 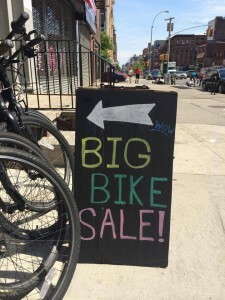 Stop in and check out our big MEMORIAL DAY BIKE BLOWOUT SALE May 22-28! 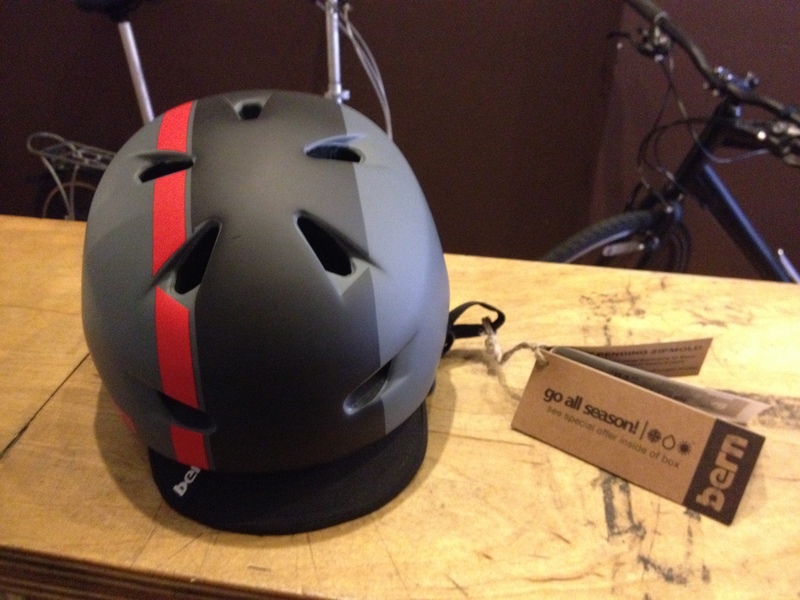 10% off bikes, accessories, and parts. Road bikes get an additional 5% off. Our Bern Brentwood Bombers are 20% off! We have 3XL, 2XL, and XL. Stop in and try one on today! 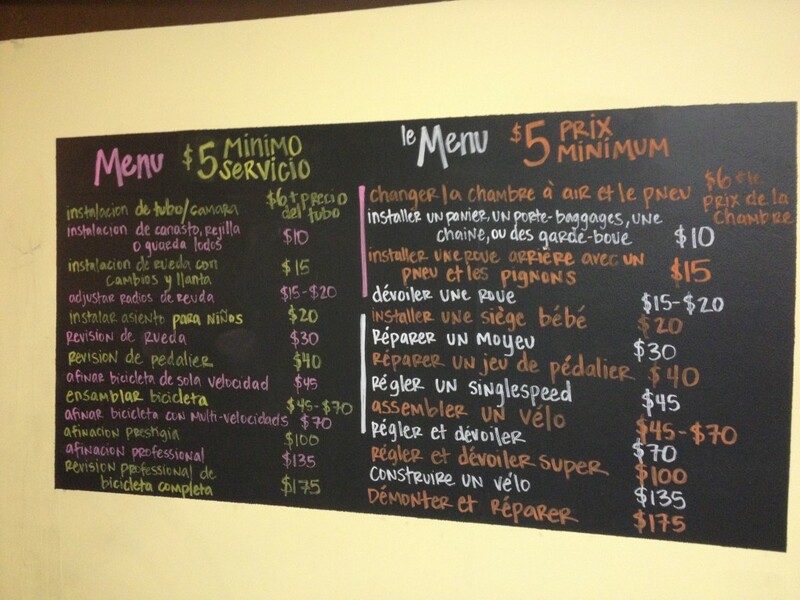 We now have our service board in Spanish and French. All are welcome! 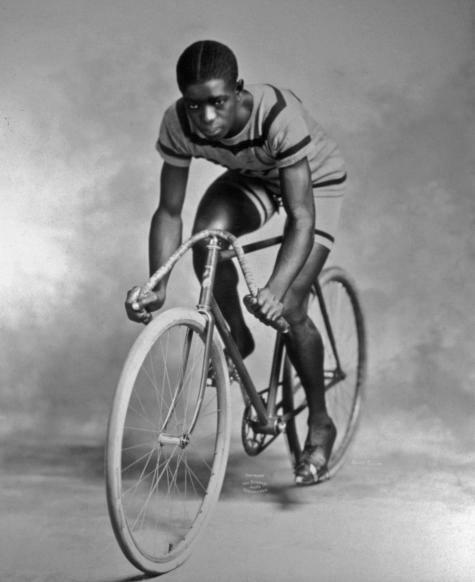 Time to get on your bike! You might not think so, but spring is just around the corner. Get ready to ride with MODSquad’s Spring Tune Up Special. First 10 customers get spruced up for $35. Everyone else $50. Offer ends March 1, 2014. ($70 value does not include parts and installation). 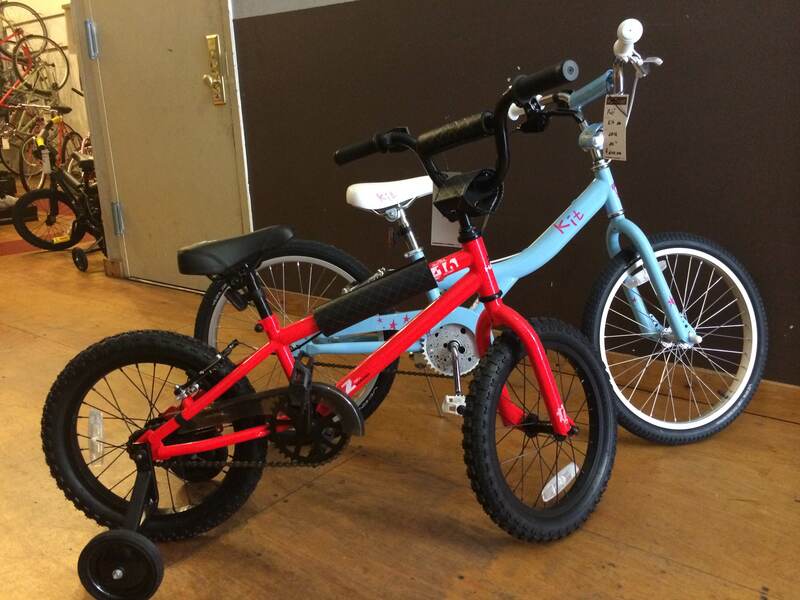 MODSquad built this Handsome Bicycles She-Devil so you can cruise Harlem in style! 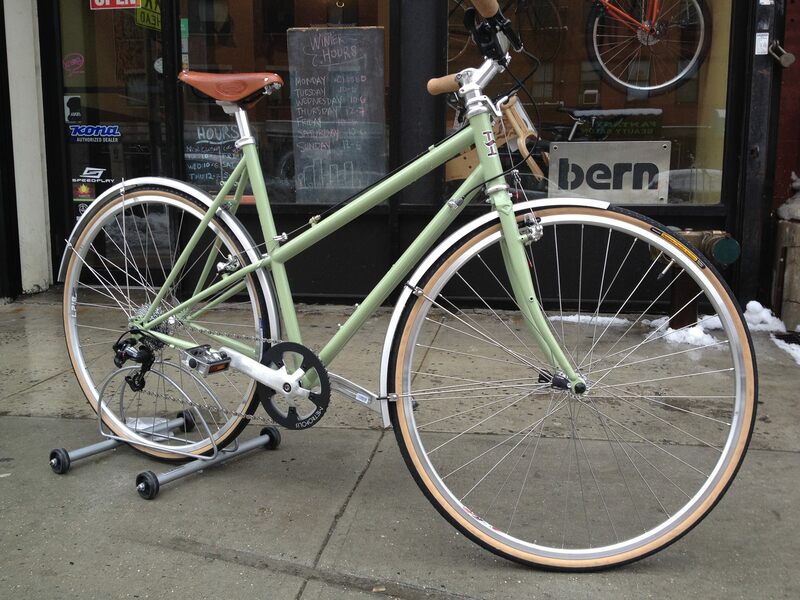 Stop by and check out this 55cm olive green beauty complete with fenders and a sophisticated Brooks Saddle.